Your living room holds so many stories. It's where you come together to celebrate, relax, and share moments you will remember. Our living room furniture helps make those moments comfortable, stylish, and affordable. Stop in today and let's design a living room you're truly proud to share. We have everything your living room needs from fabric to leather with hundreds of combinations. Including..
Smith Brothers of Berne, 203 style with fabric. We love the color and pattern combinations in this arrangement. Since 1926, Smith Brothers of Berne has built a reputation for crafting fine residential furniture that is solid, comfortable, and stylish. They combine old world craftsmanship with modern technology to create furniture Winglemire Furniture stands behind with total confidence. 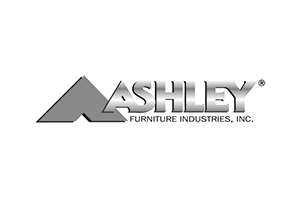 Ashley Furniture Industries, Inc. is the largest manufacturer of furniture in the world. Established in 1945, Ashley offers one of the industry’s broadest product assortments. Ashley continuously strives to provide the best values, selection and service in the furniture industry. 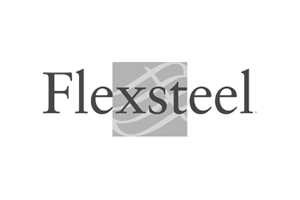 Flexsteel is the most successful diversified seating company in the country. From one small factory in Minneapolis to a nationwide five-plant network, Flexsteel is truly an American success story. This is a company with a proud history, a brilliant future, and great furniture. Smith Brothers of Berne, style 990 tiltback chair with fabric. COMFORT & STYLE FOR YOUR BOTTOM LINE. This Smith Brothers of Berne chair can easily fit in to any environment or home because it comes with the choice of many leather and fabric options. With the in-side release lever, this chair can actually tilt back, but all the while keeping it's sophistication and comfort. Unique "Comfort Wrinkles" are designed to enhance the exceptionally soft feel of the seat and back cushions.